We are always looking for goalies to help fill our House Leagues at NO cost to you! 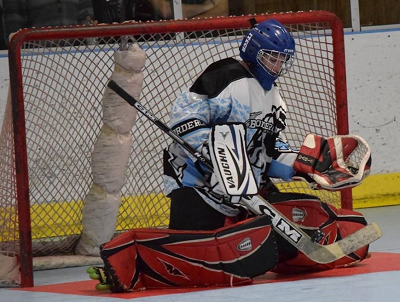 Have you ever wanted to try goalie in a fun and relaxed environment in a league setting? This is your perfect opportunity to start playing goalie, or get more time on your skates to play! To inquire about any available house goaltender positions, please use the contact pane on the left, by clicking "SEND A MESSAGE."